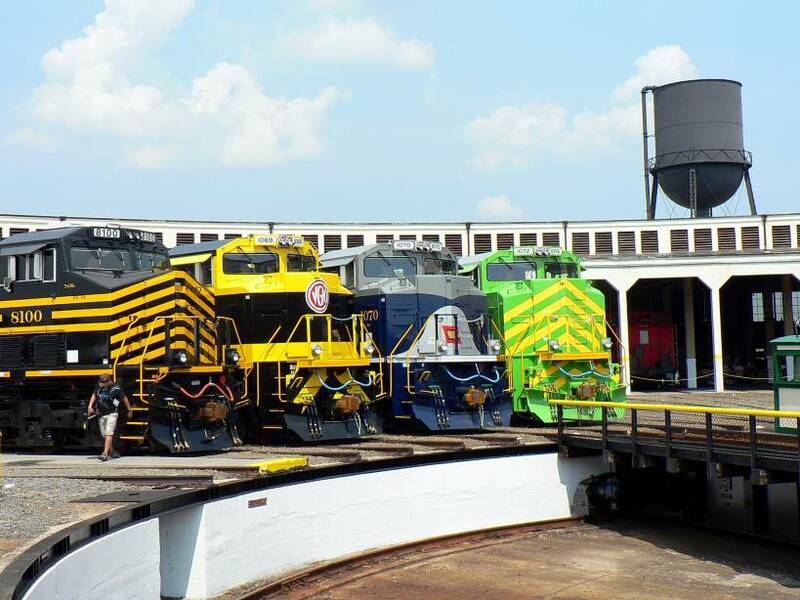 It was the railfan equivalent of Woodstock with enthusiasts at all levels of interest in attendance. 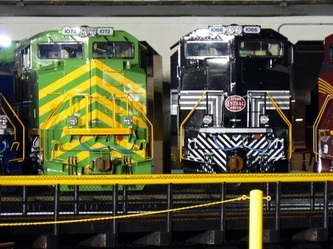 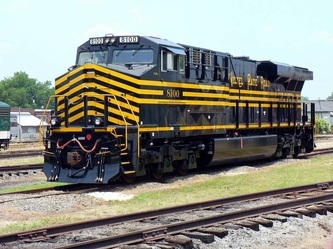 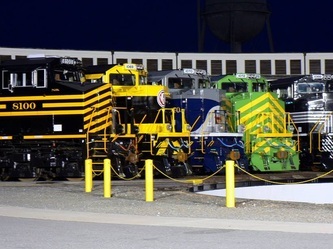 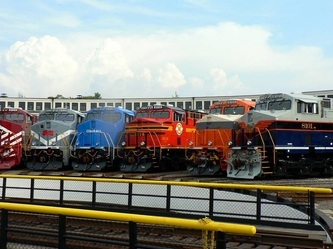 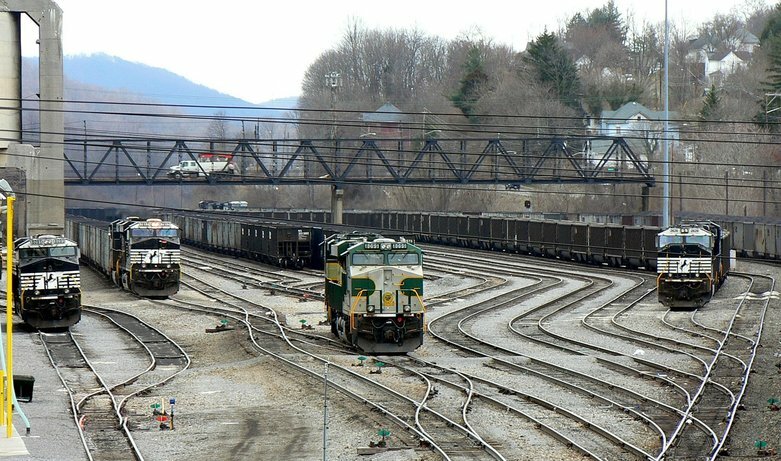 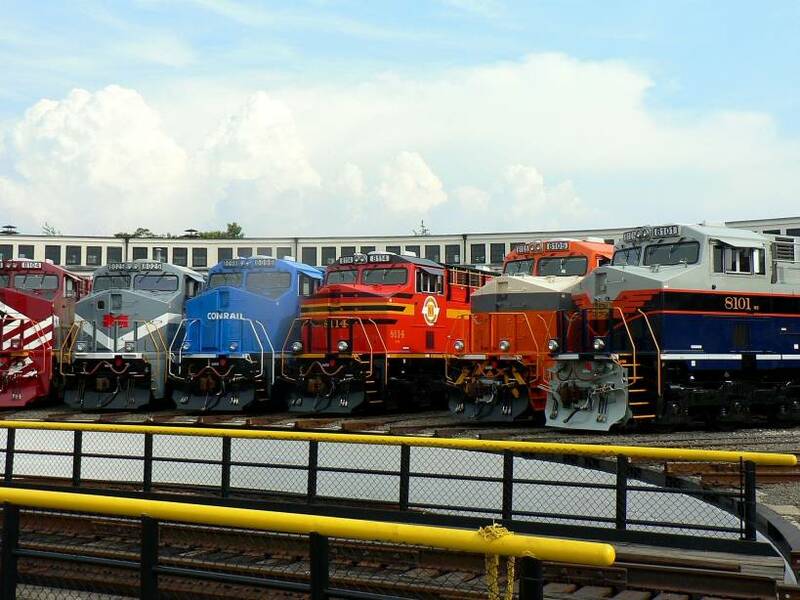 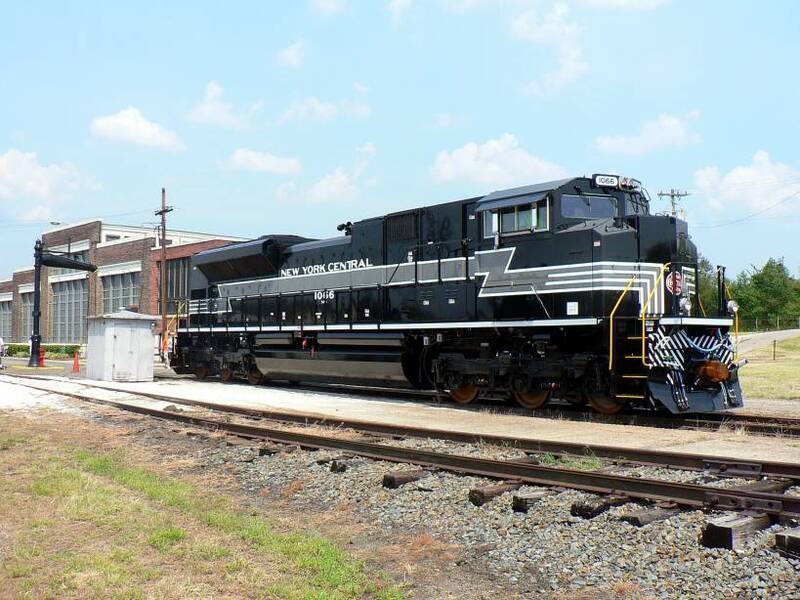 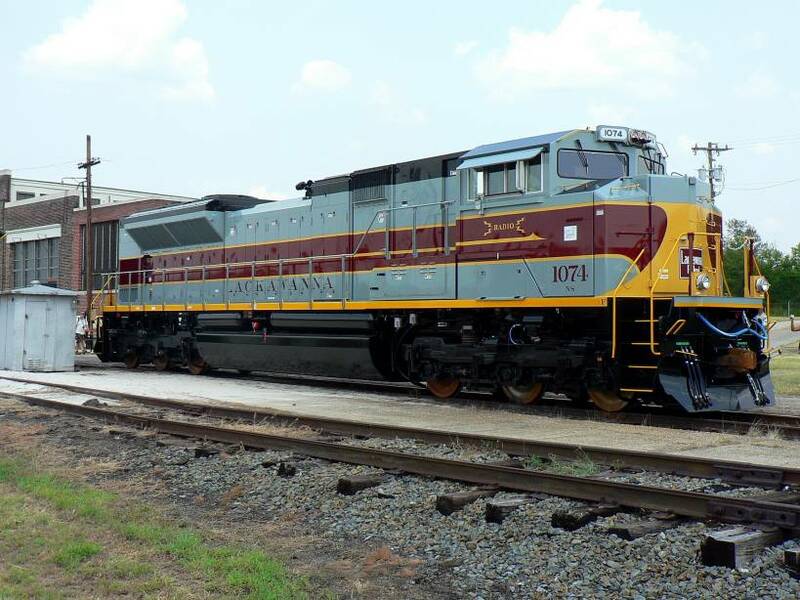 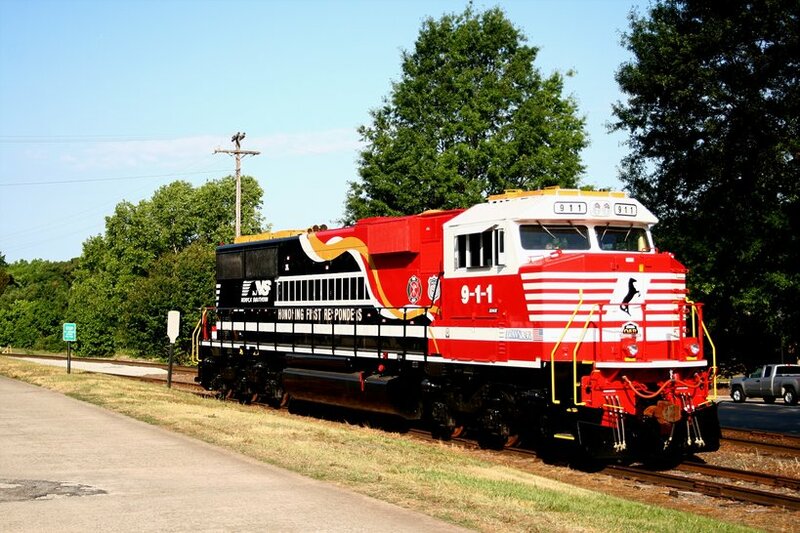 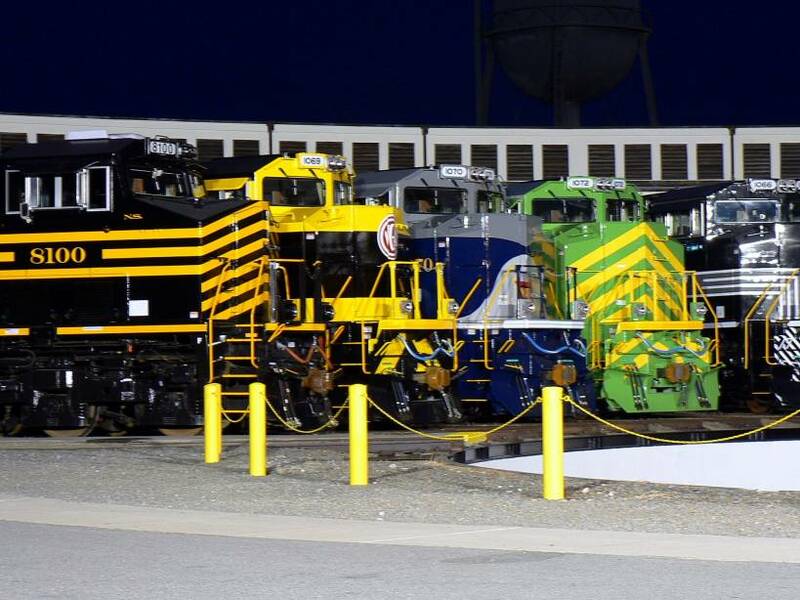 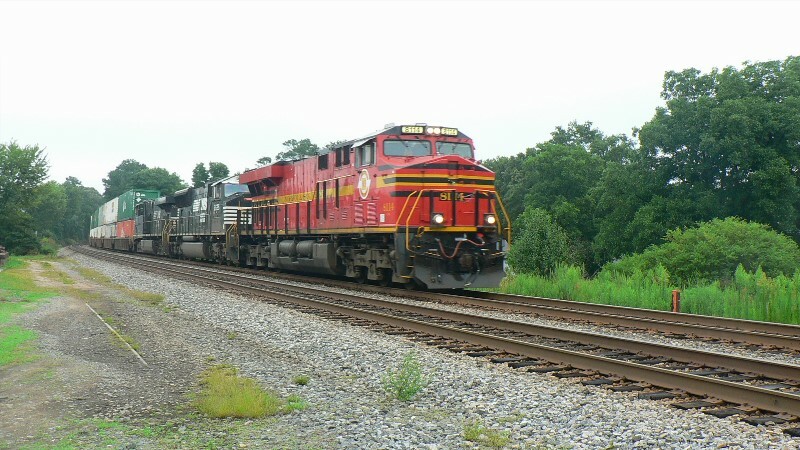 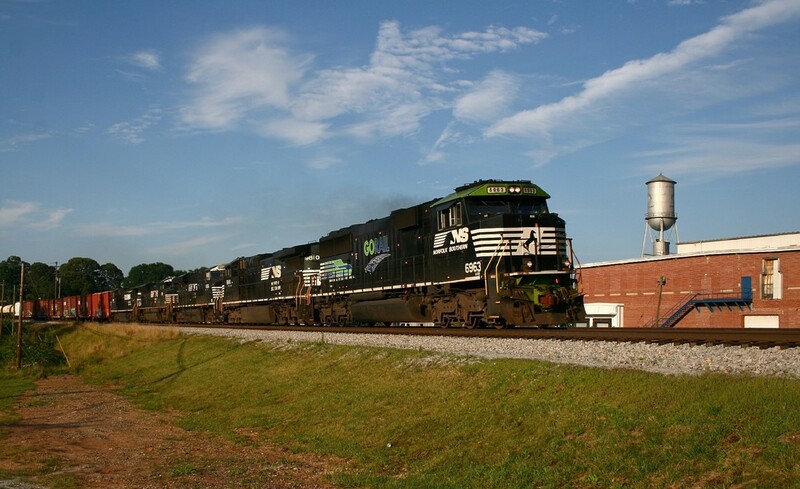 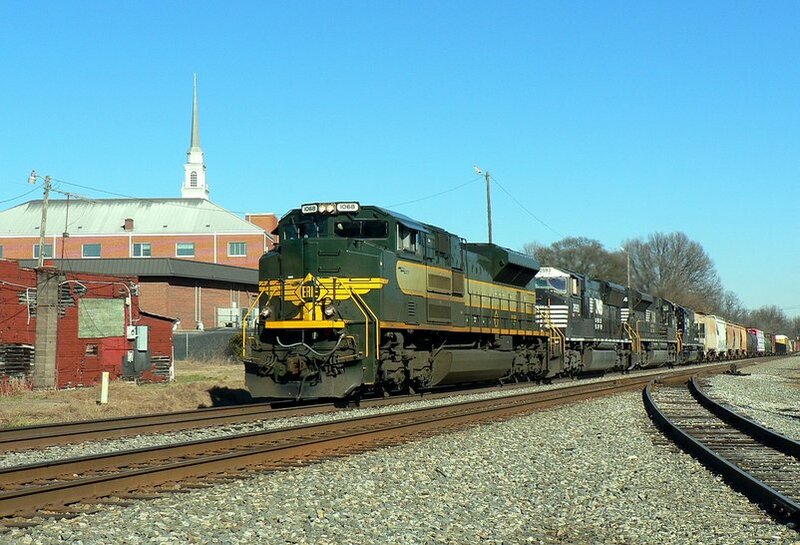 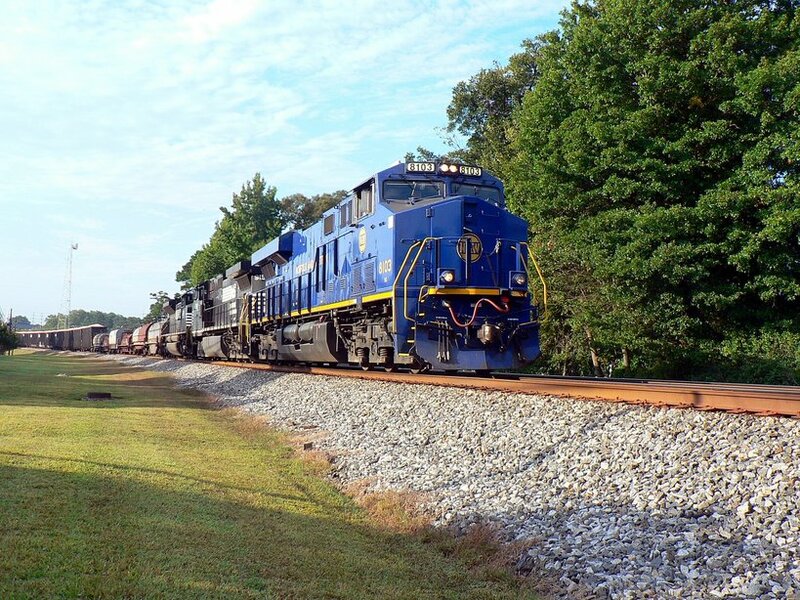 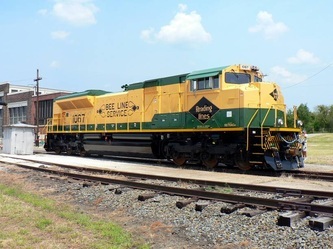 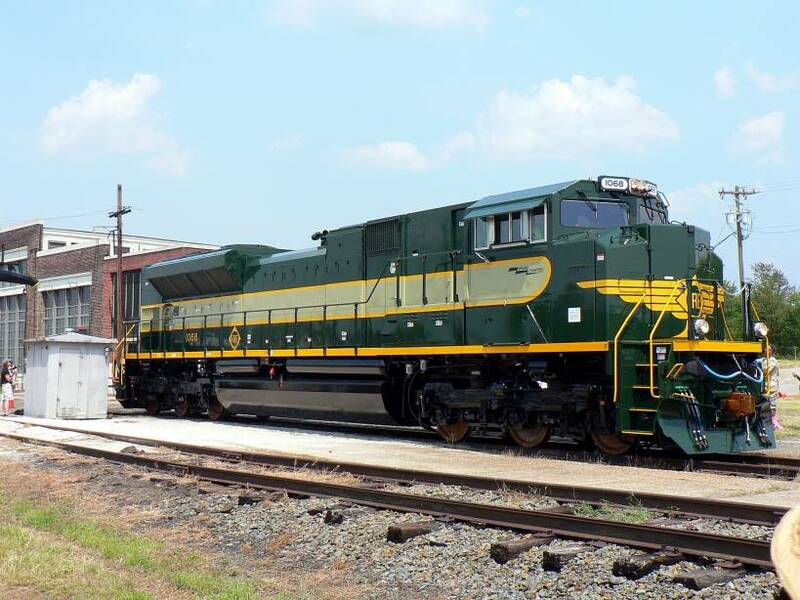 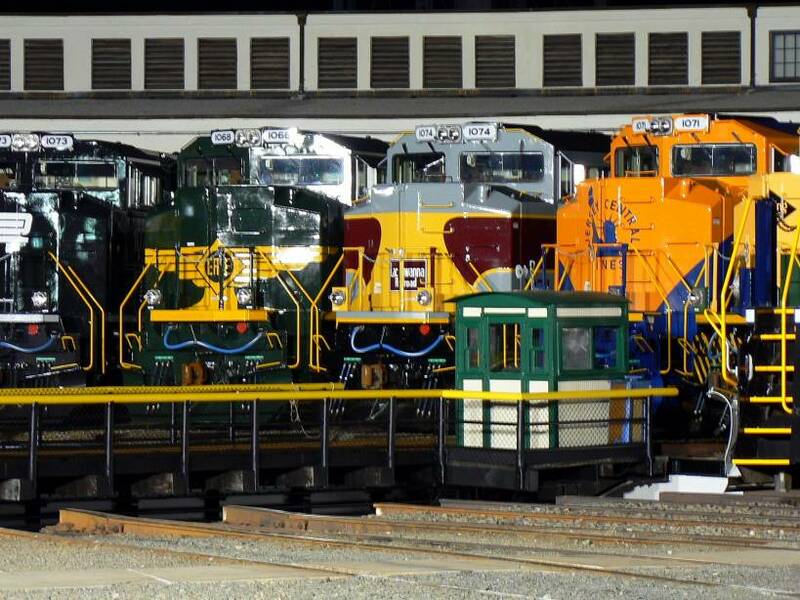 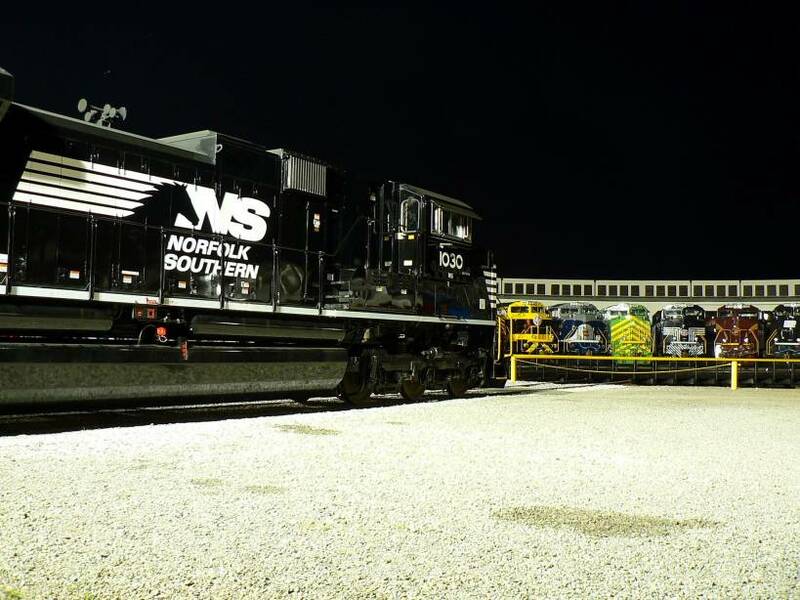 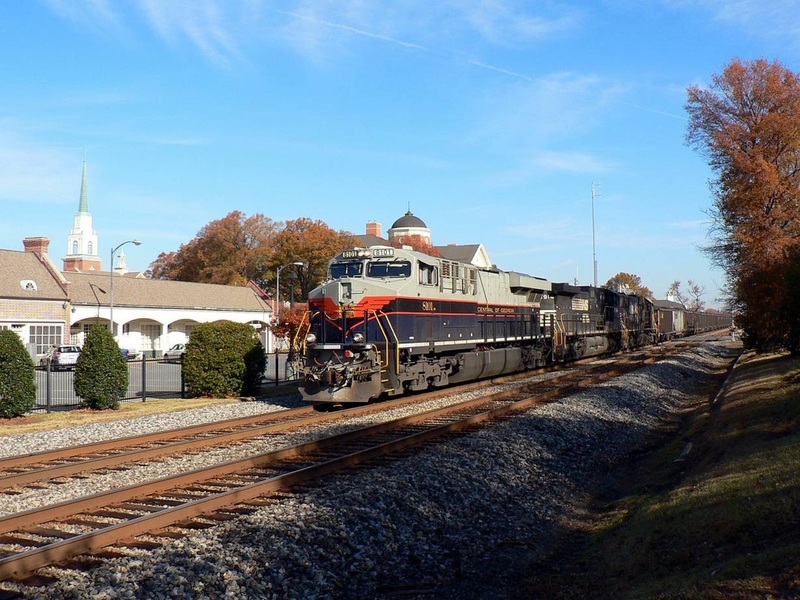 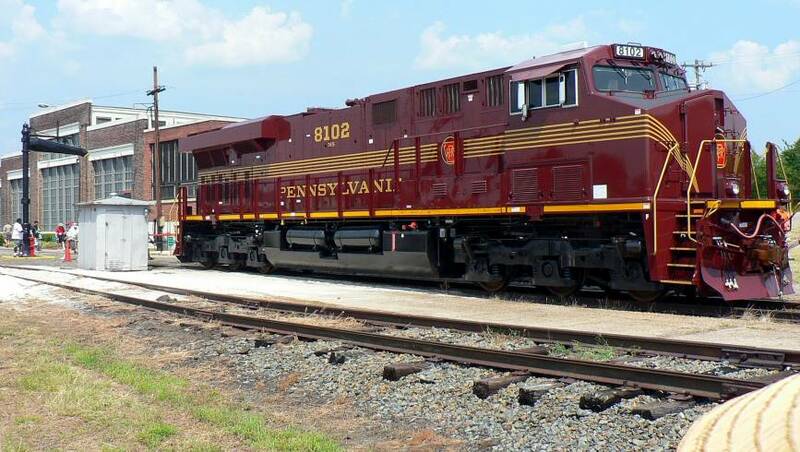 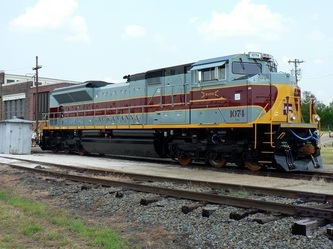 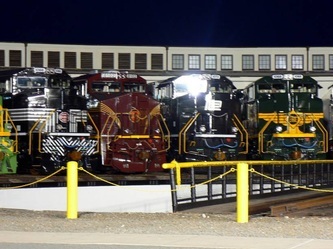 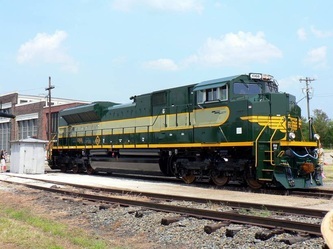 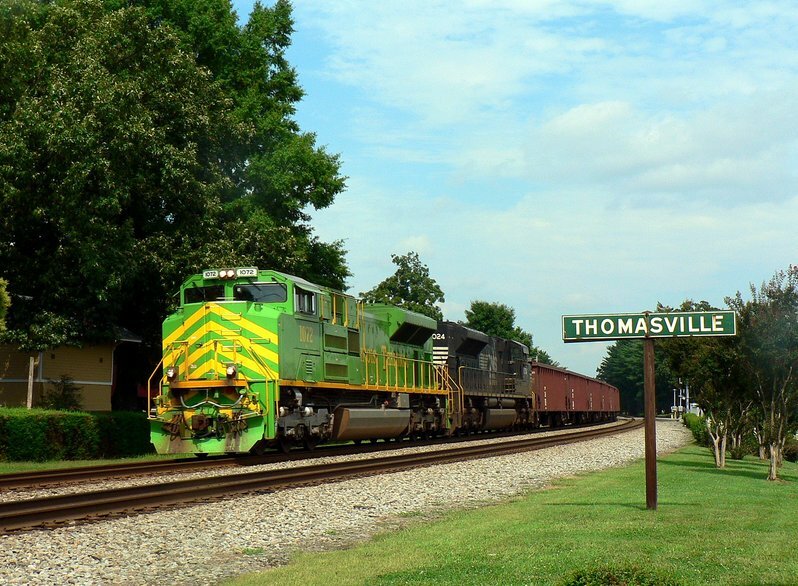 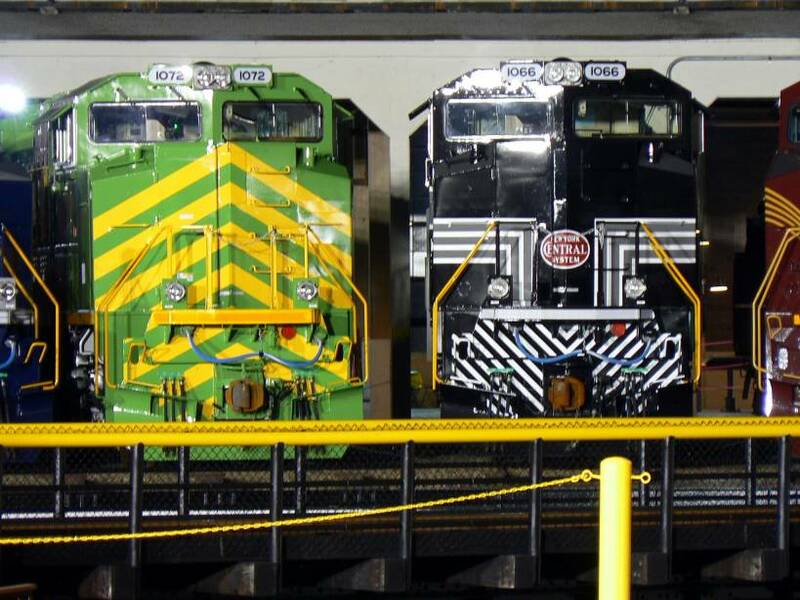 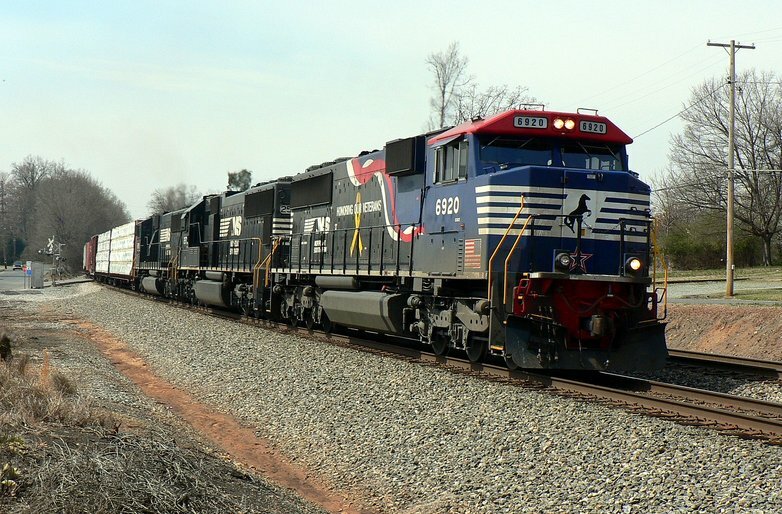 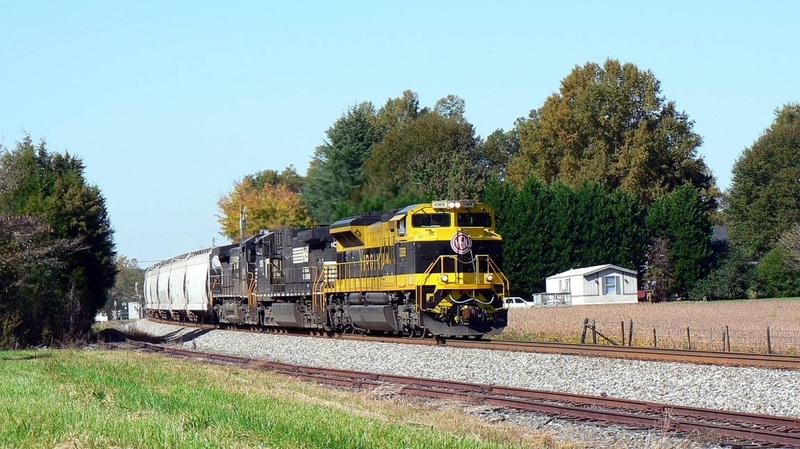 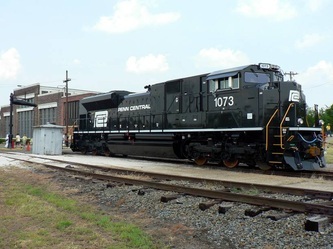 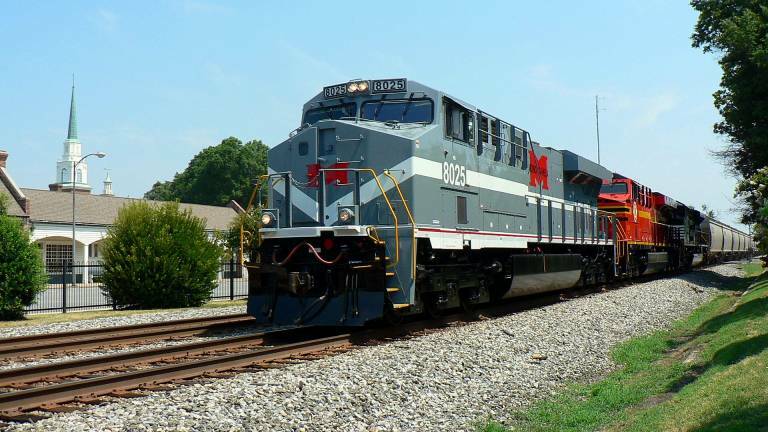 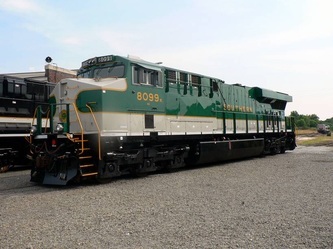 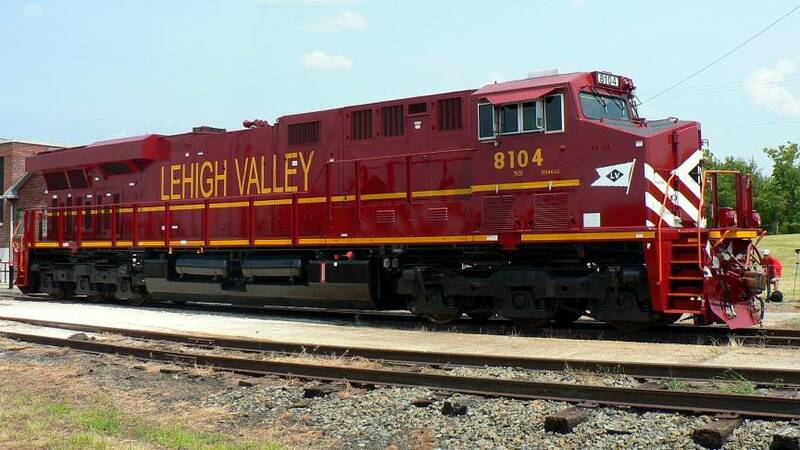 But whether one is a die-hard fan or just a casual observer, the gathering of all twenty Norfolk Southern heritage locomotives painted in predecessor paint schemes was an event to behold. 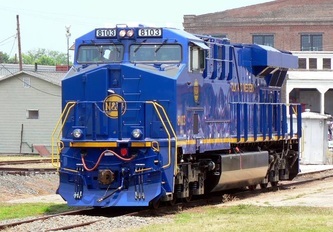 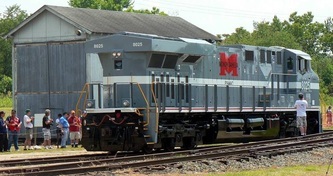 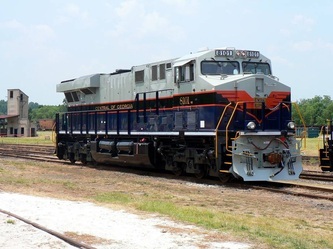 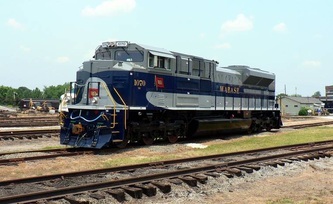 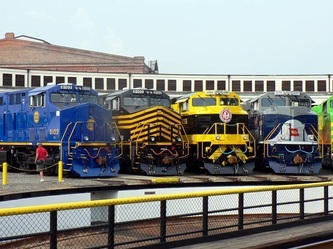 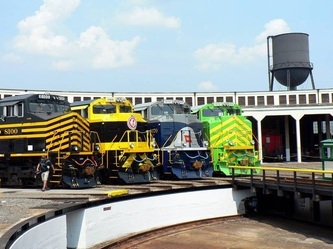 The North Carolina Transportation Museum at Spencer was the setting and is one of the few museums with space enough to have accommodated this festival which took place July 3-4 of 2012. 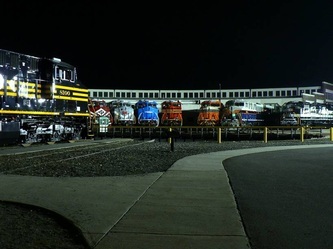 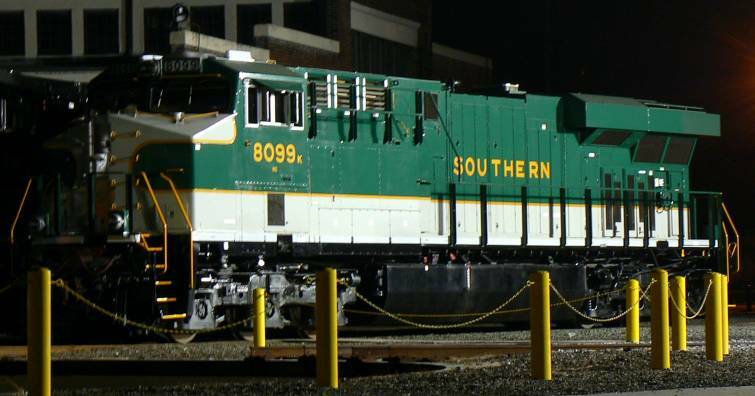 As part of an annual celebration of the Norfolk Southern 30th Anniversary, the heritage locomotive gathering was the marquee event. 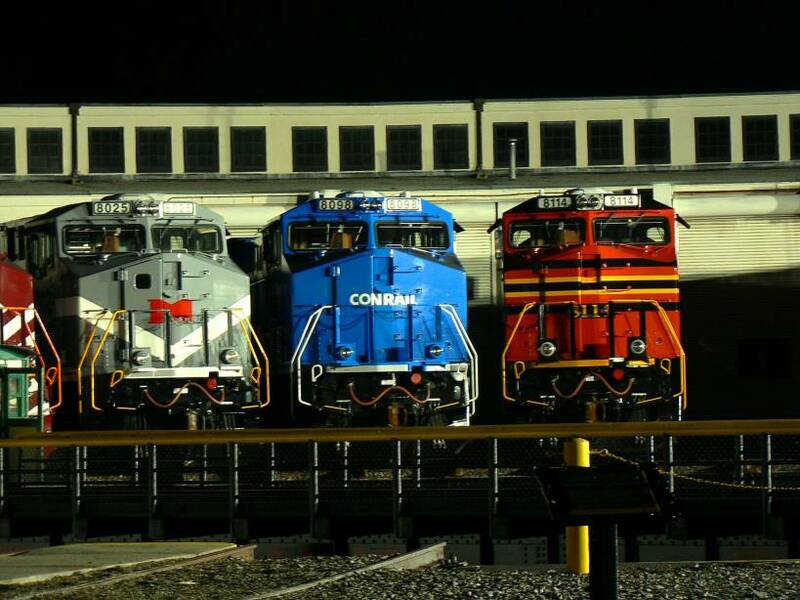 There is little doubt that those fortunate enough to attend will ever forget the festivities. 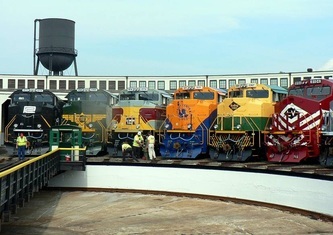 Over 4000 attended the event during the two day affair coming from all over the country and in some instances, the globe. 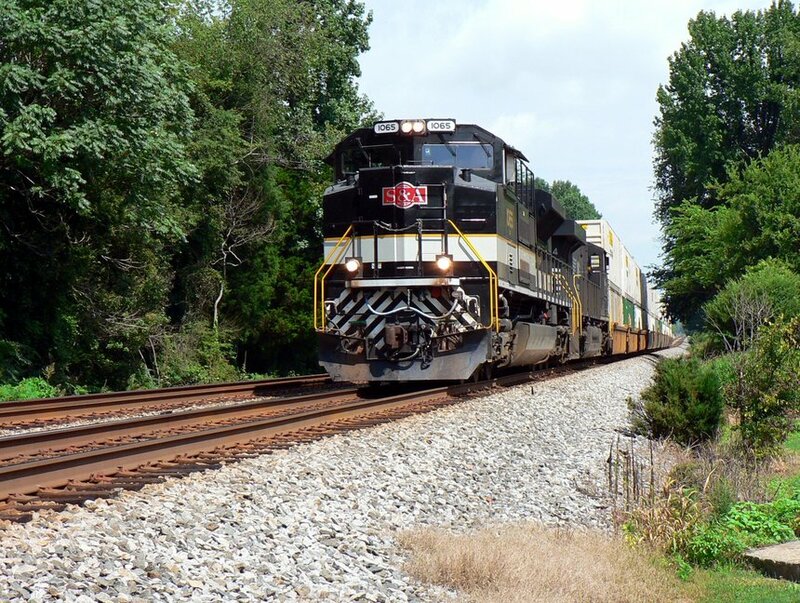 All who came competed with the masses for unobstructed photos and the torrid heat. But although there were complaints, the event could not be dubbed any less than a success. 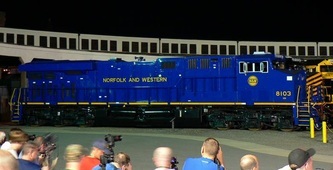 All who attended left with some level of satisfaction. 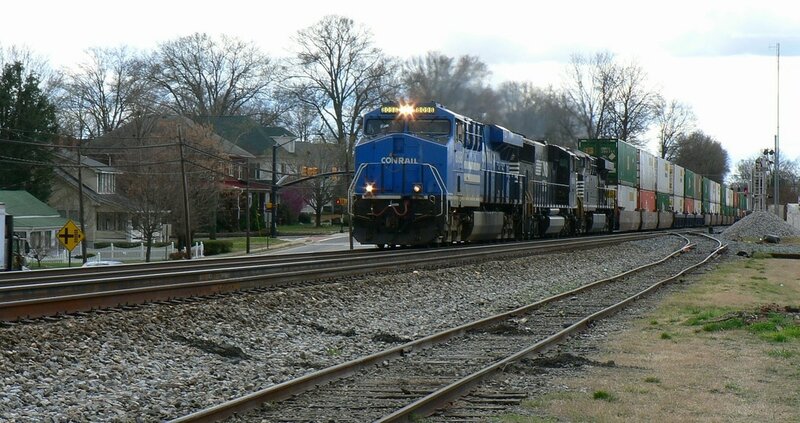 From a personal level, my family enjoyed the event immensely with our only negative having been the heat. 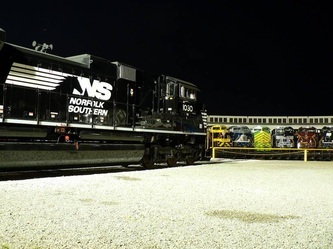 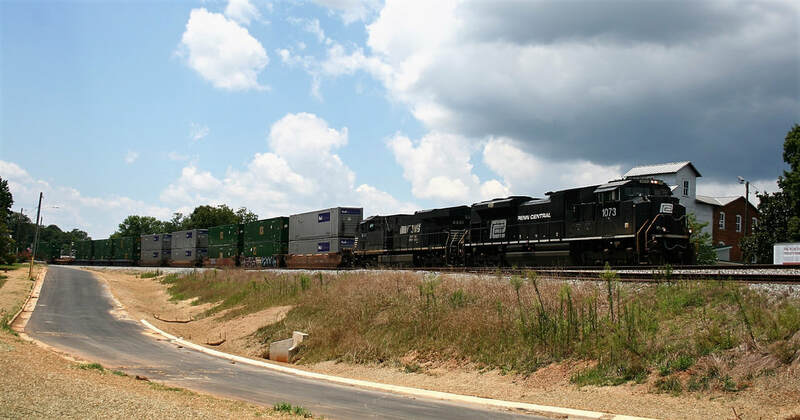 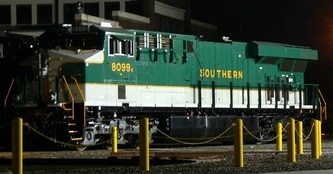 To its credit, Norfolk Southern is to be commended for joining the "throwback" imaging we are witnessing today with the painting of these fallen flag locomotives. 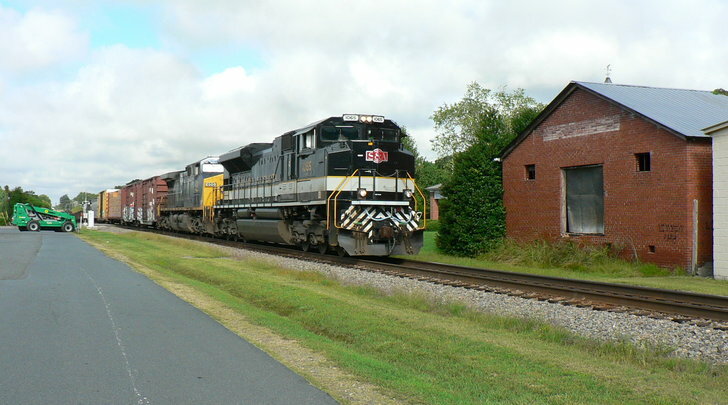 The net result is that it has created a highly positive public image of and for the railroad. 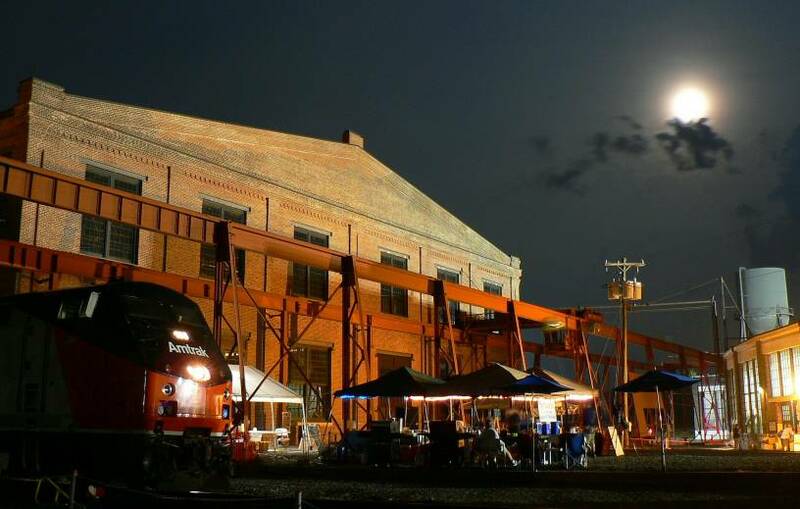 But this is only the beginning because the aftermath will be lingering: thousands of photos from the event will appear on the internet, in publications, and on calendars. 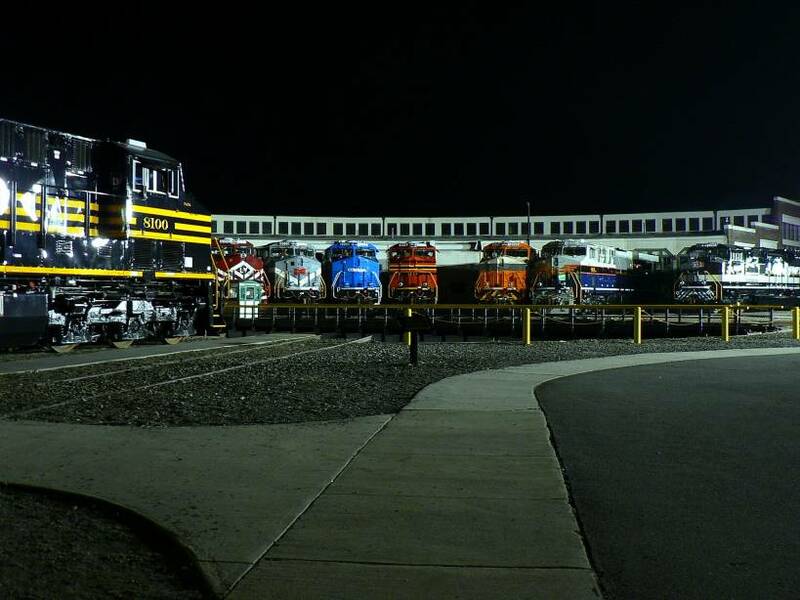 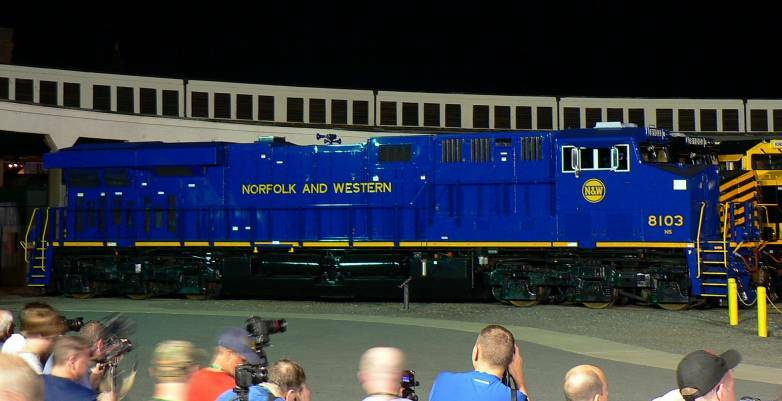 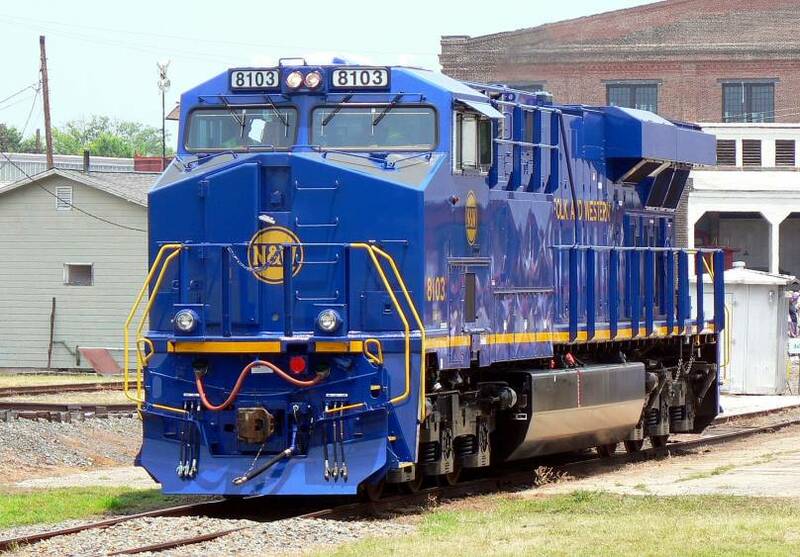 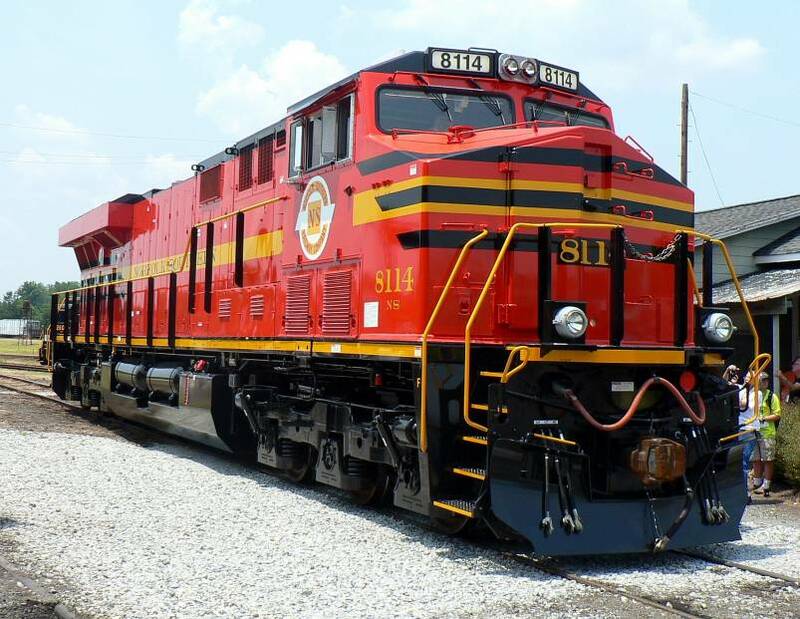 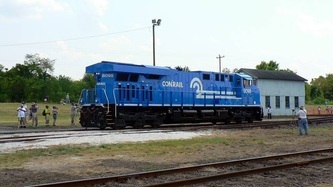 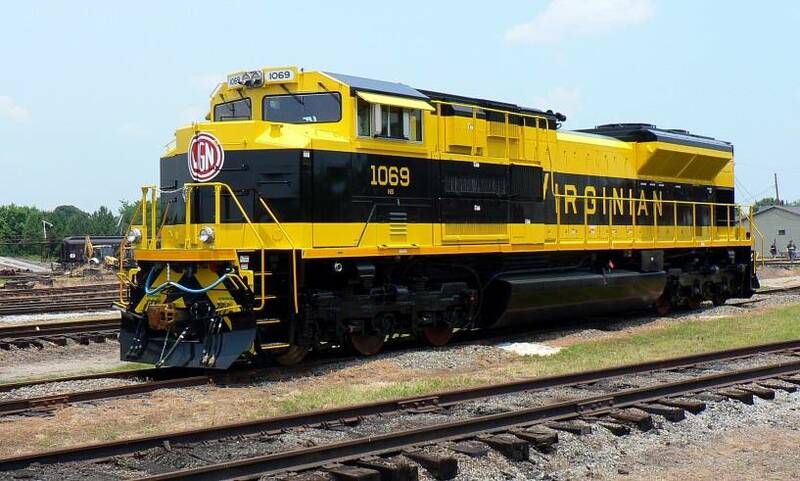 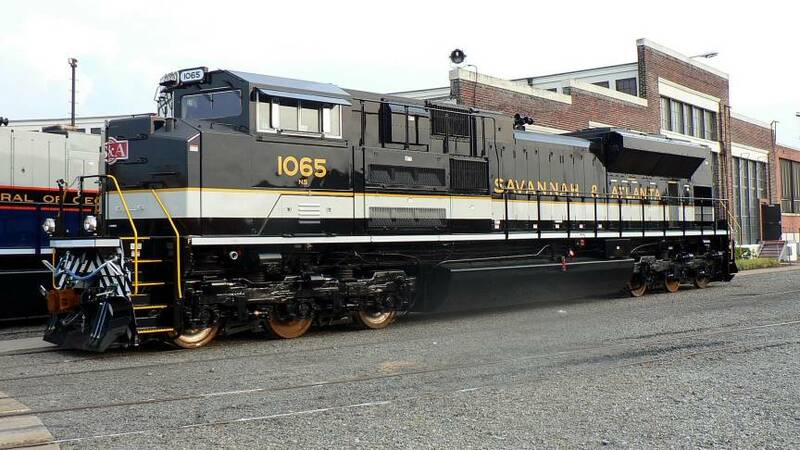 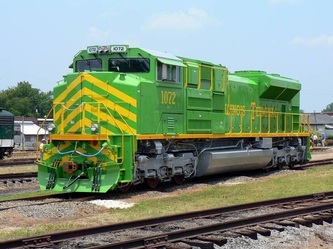 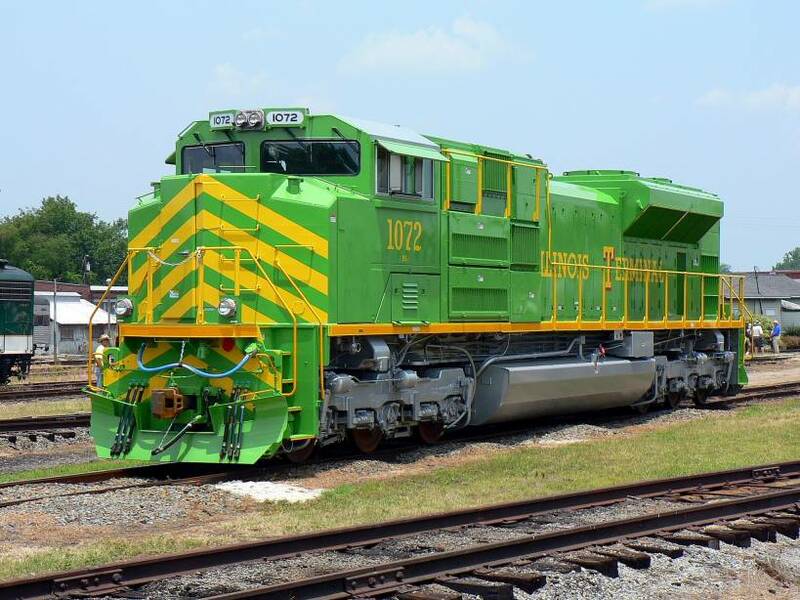 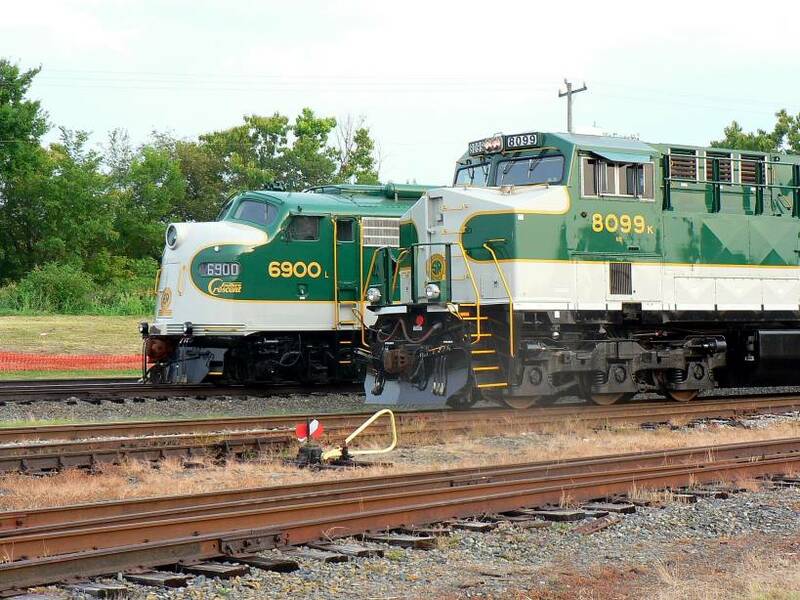 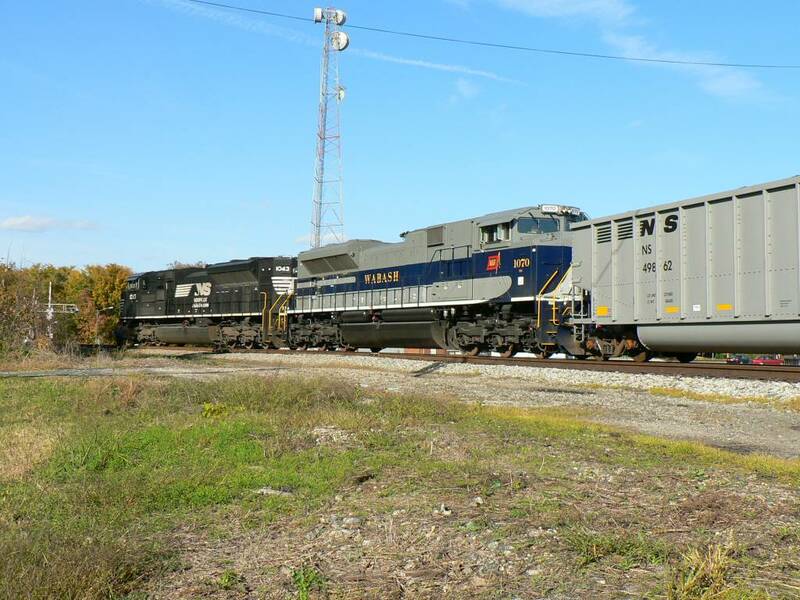 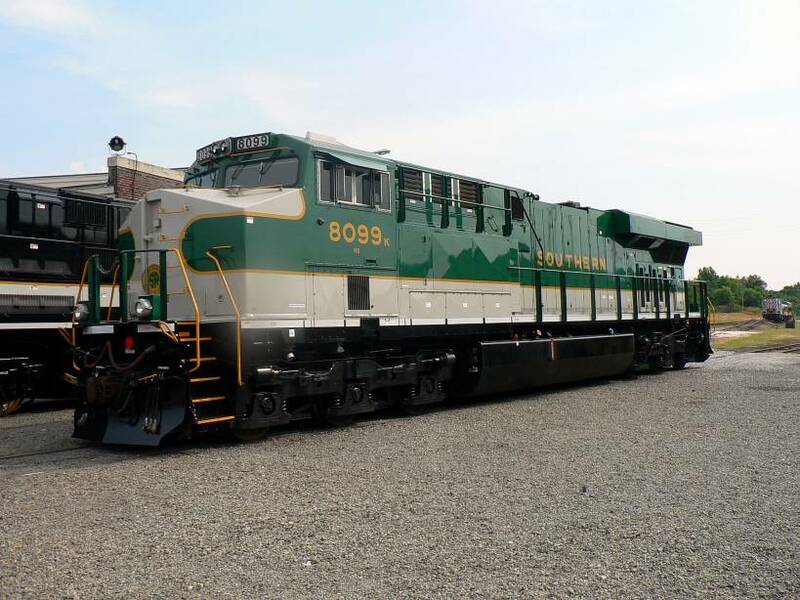 Model railroad manufacturers will be salivating to release scale replicas of these locomotives as soon as possible. 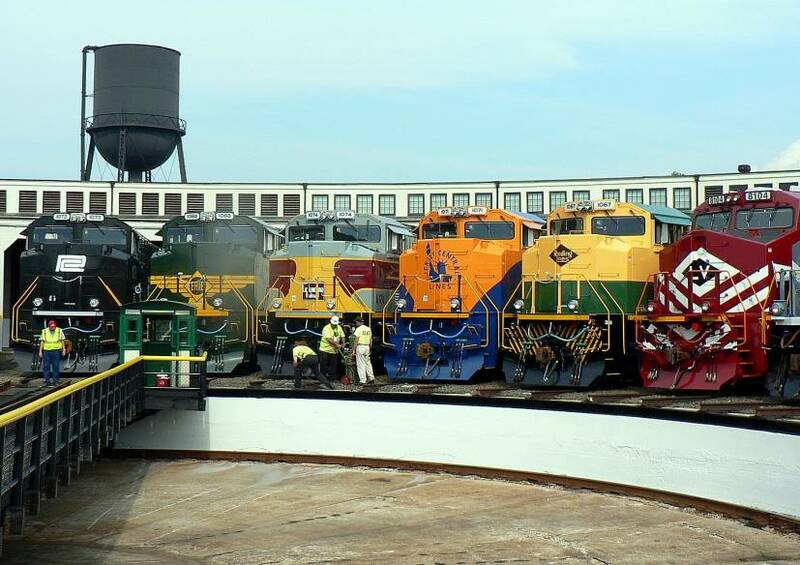 The marketing wheel has just begun to spin. 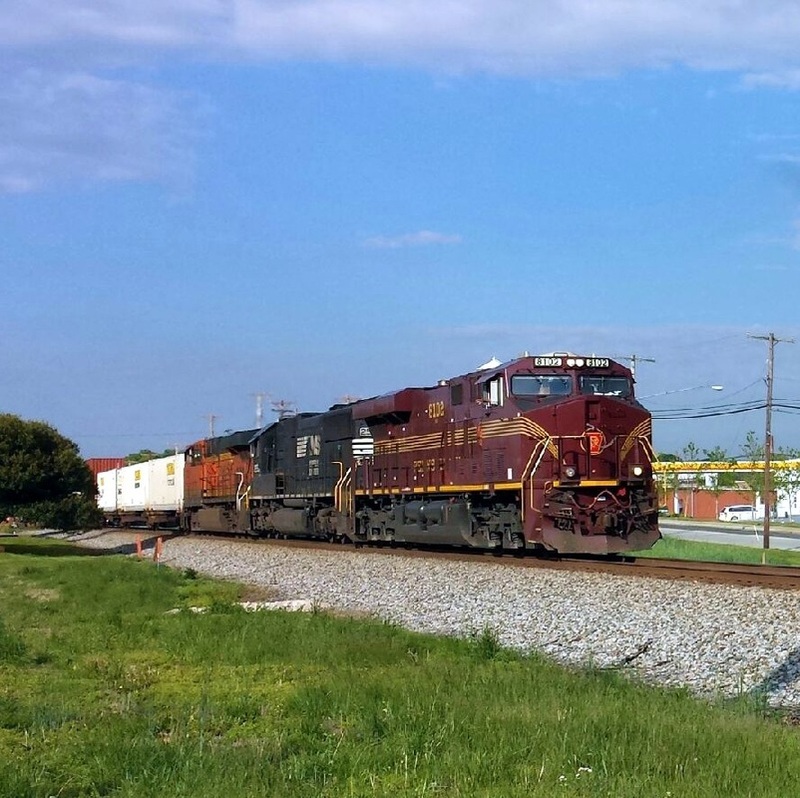 Below are some photos taken at the NCTM to the best of my abilities under tough circumstances. 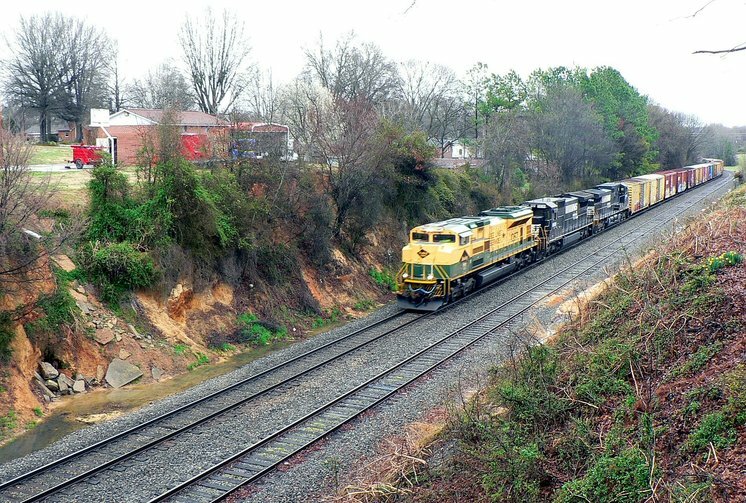 There are uncounted photos out there now of this event by photographers far more experienced than I so my efforts are quite humble in comparison. 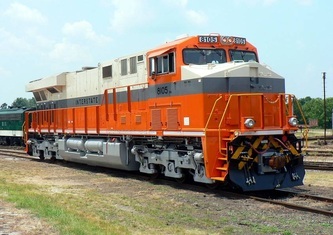 In any event, I hope you enjoy! 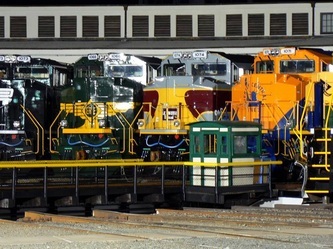 How folks go about selecting a favorite(s) depends on how deep the interest runs. Many select ones based on their judgments as to which are the most attractive paint schemes and colors. 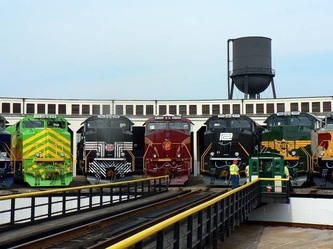 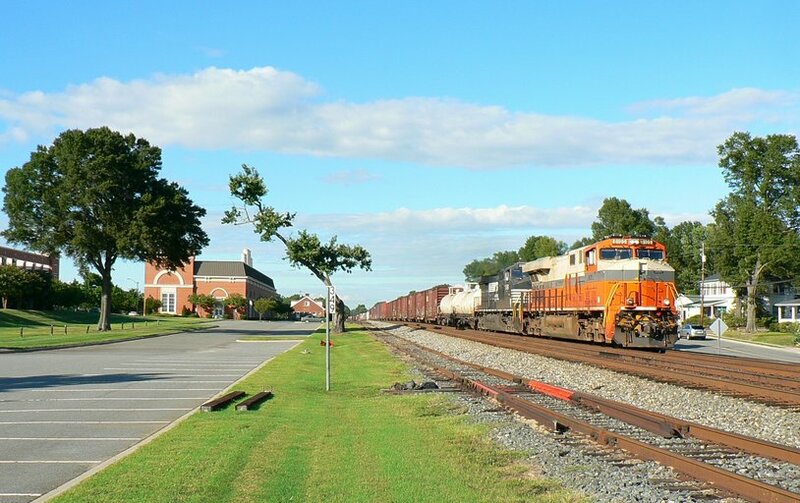 Others may choose from the standpoint of nostalgia and the particular railroads they were connected with or had a fondness for. 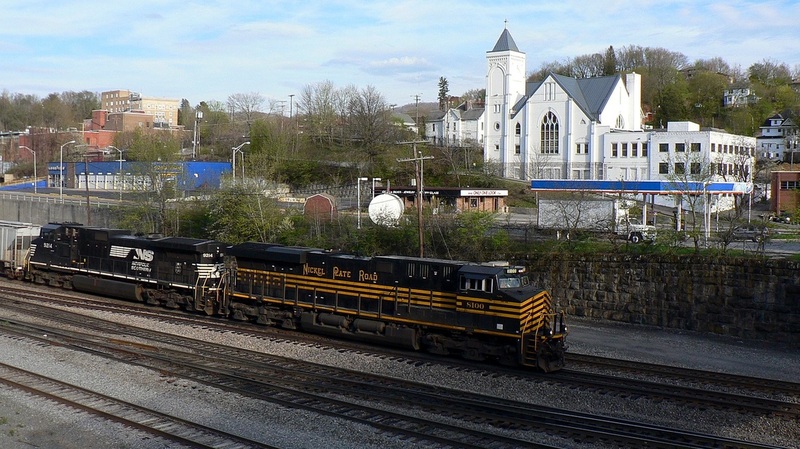 I am old enough to remember having seen some of these railroads when they were in existence and have a particular association with them. 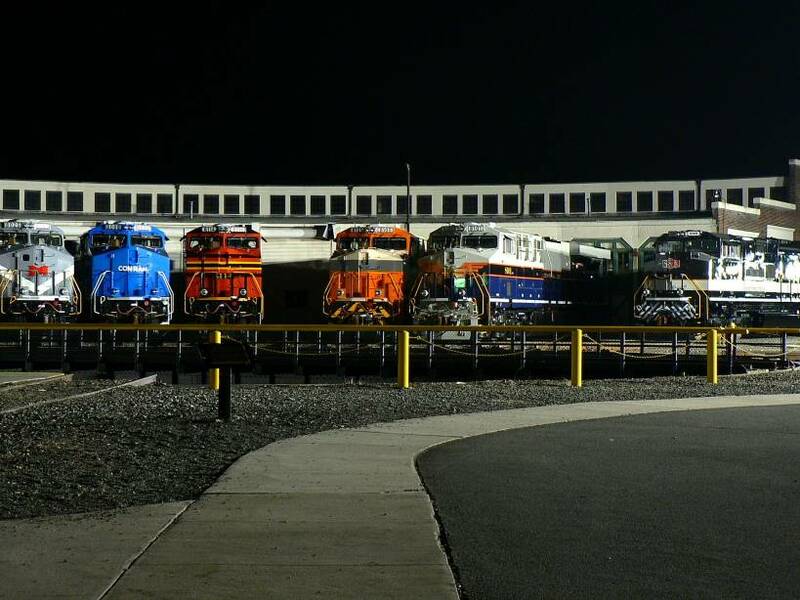 But the bottom line is they are all reflections of a bygone era. A sampling of photos taken at the turntable area in daylight. 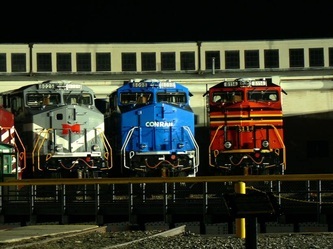 Random images from the photo night shoot. 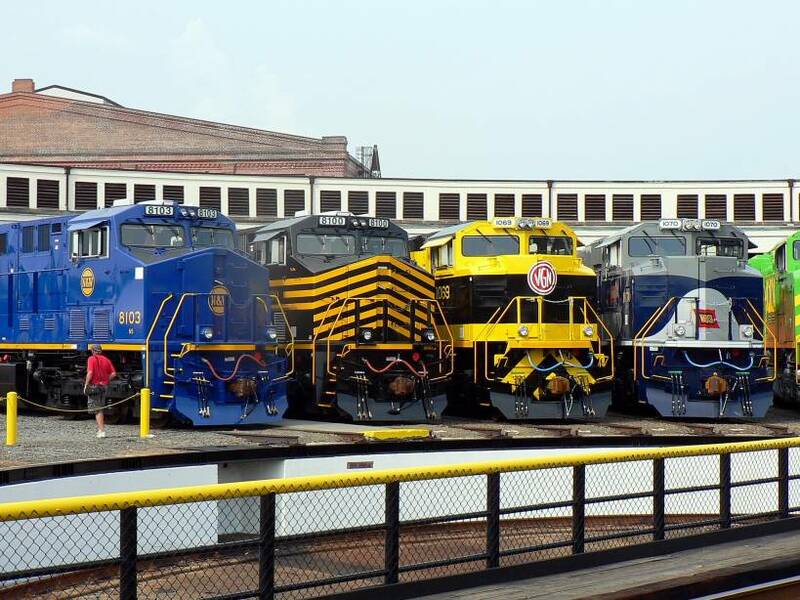 Any images of heritage power photographed in revenue service will be added below. 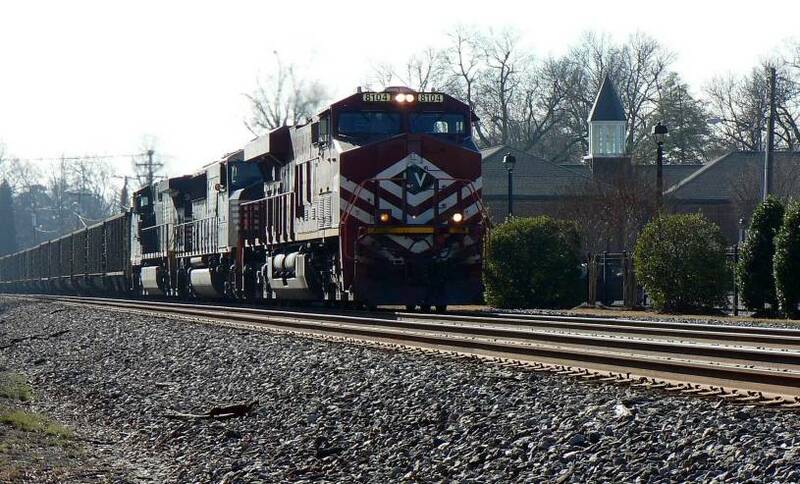 I was at work when this train ran so my wife gets the credit here. 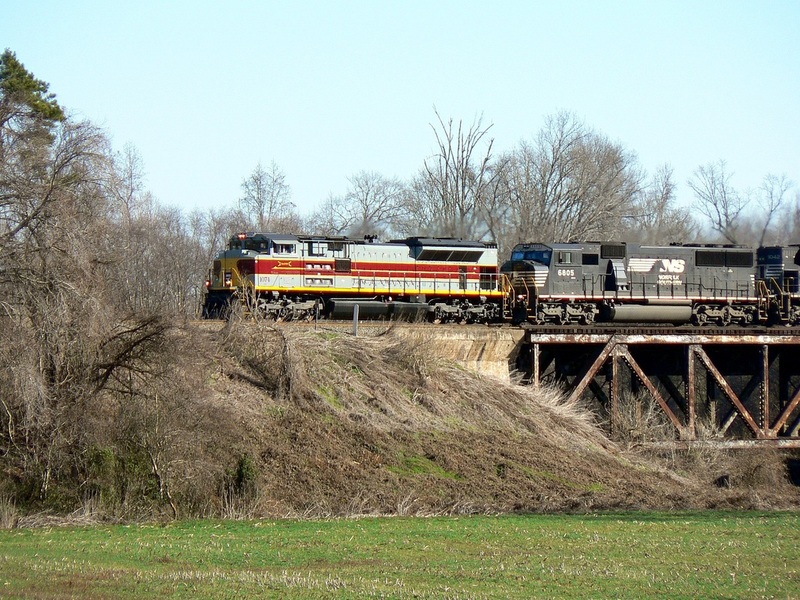 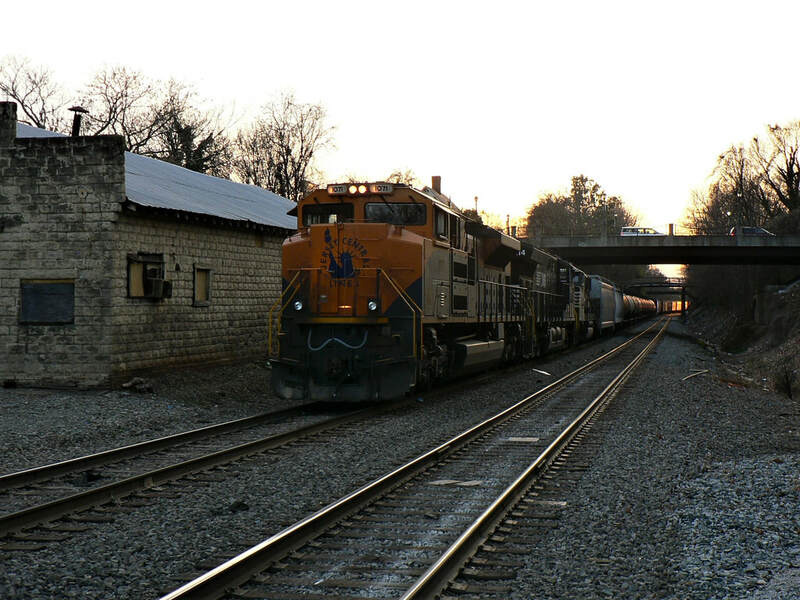 Lackawanna #1074 is on the lead of westbound NS 135 crossing the Third Creek deck bridge at Cleveland, NC. 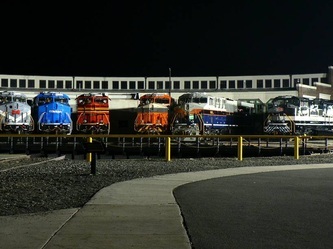 Photo date January 4, 2013 by Donna Robie.